Top 10 London tourist attractions with The London Pass. 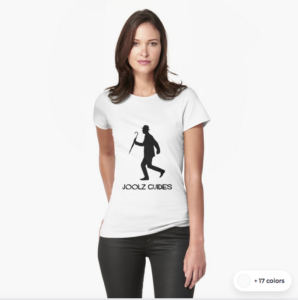 Should I buy one? 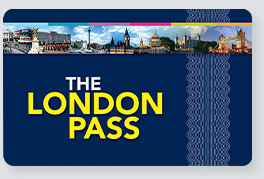 Should I buy The London Pass ? Good question! 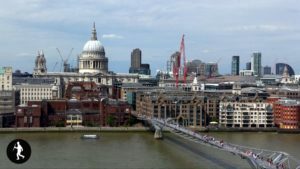 We decided to see how many London tourist attractions we could see in 48 hours with The London Pass so here’s our Top 10 London Tourist Attractions with The London Pass. 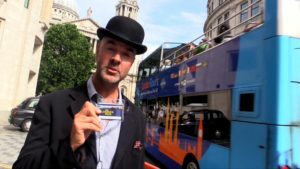 The London Pass will get you access to over 70 different attractions across London and seems like a good idea. Indeed it can be, but only if you do things right! The prices vary depending on how many days you choose and of course it’s cheaper for children. There are also discounts to be had in the gift shops of the various attractions and a special oyster card for travel around London. There is a Bike tour, a canal boat cruise, a guided bus tour with Golden Tours and a river cruise with City Cruises. All of these are delightful things to do but they do take time and it’s important to remember that a lot of the London tourist attractions are quite far apart and some close at 3pm! You can still get good value from The London Pass but I recommend checking which attractions can be done in the evening and how much they would cost without the pass too. Then you can plan your itinerary. For example, Hampton Court Palace is rather far away and would require much of the day to see it all. If you are seeing Hampton Court Palace you might be advised to see one or two other attractions in the morning and then head to Hampton Court Palace before it closes for entry. Then, after it closes you can take advantage of some of the things which are open later like, for example, a bus tour of London or a river cruise. It makes no sense to do the bus tour or river tour in the morning since this uses up good time when the other attractions are open. In my 48 hours I managed to see quite a lot of attractions but I didn’t stay very long inside them. I saw The Tower of London, London Zoo, Tower Bridge, HMS Belfast, St Pauls Cathedral, Kensington Palace, The Queen’s Gallery (at Buckingham Palace), The Banqueting House, The Churchill War Rooms, The Monument and Westminster Abbey. This was TOO MUCH! You will be exhausted and won’t enjoy the sites if you whizz around them like I did. Also, bear in mind that Westminster Abbey (in July) had a waiting time of 30 minutes waiting in line but most of the attractions didn’t have a queue. The London Pass does allow you to fast track to the front of some queues but not all! Then you must also allow for getting between the locations, lunch and enjoying a relaxing time. The London Pass Website has good suggestions of itineraries but do check out how feasible they are first. Also note that The London Pass does NOT get you into The London Eye or Madame Tussauds or (at the time of writing) the main part of Buckingham Palace state rooms. I would definitely put Hampton Court in my top ten attractions but I wasn’t able to reach it in my two days. It would have been madness. The Royal Observatory in Greenwich is nice but there is so much to see in Greenwich that I would just go on another day and wander around. You don’t need to go inside the observatory. It will just take up your time with the pass when you could be using it elsewhere. Check my video about Greenwich here, there is plenty to see! So to get your money’s worth, stick to places in the central part of London and check the opening times and distances apart. Here’s a guide to how long you might need in each place. St Paul’s Cathedral – At least one hour if you want to go to the top! More like 1h30m if you want to look around. The Tower of London – At least 1h30m but more if you want to see everything. There will be tours and other stuff. I’m talking bare minimums. The Crown Jewels was a long process taking about 20 minutes alone. Churchill War Rooms – 1h to 1h30m There’s a lot of stuff to read and a nice gift shop. Also a bit of a queue. Hampton Court, which I didn’t see, will take as much time as you want. It is large, you can watch exhibitions and ancient techniques for making food, there’s a maze and it takes a while to get there. I’d do it as a day out or at least an afternoon. Then the tour buses or boats can take an hour or two so I’d do those in the evening. Personally I think it’s worth it just for the convenience of not having to worry about buying tickets. You can take it a bit more easy and you will get discounts.